It’s been over a year since I last blogged on LackingMaterial.com and a lot has happened since then. Amongst all of that was my decision to create a server to host my various programming projects on and it only seemed natural to include this blog. As a result, I’m migrating away from the WordPress platform to my new blog, Ageof.Info, which was built using Jekyll and is served on a nginx server. WordPress has been great to me, but times have changed and so has my medium. 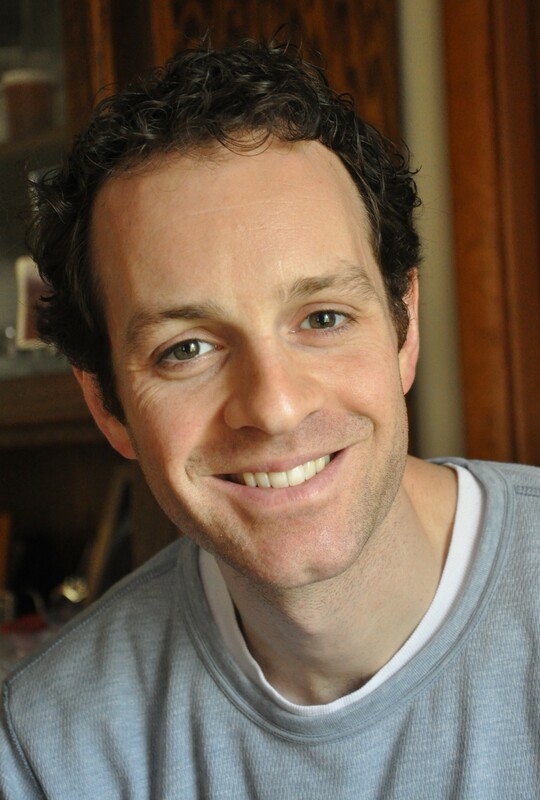 Peter Boettke is an economist out of George Mason University and he specializes in the history of economic thought and institutional economics. Boettke was lucky enough to study under many notable economists, such as James Buchanan, Israel Kirzner, Gordon Tullock, and Don Lavoie. For his book Living Economics, Boettke takes a different approach than others by creating a story out of economic history. In this lovely little book, Boettke takes you down economic history lane with an Austrian twist, recounting major players in economics from both the left and right and guiding you through what he believes economics is all about. In Living Economics, Professor Boettke describes the profession of economics truly, as if it were alive. Peter Boettke teaches at George Mason University, a school I have immense respect for and hope to one day attend. Living Economics is a book meant for aspiring graduate students, and while I am far from that, I still believed I would enjoy it. Boettke’s book is broken into four sections, but you can read the book in any order. 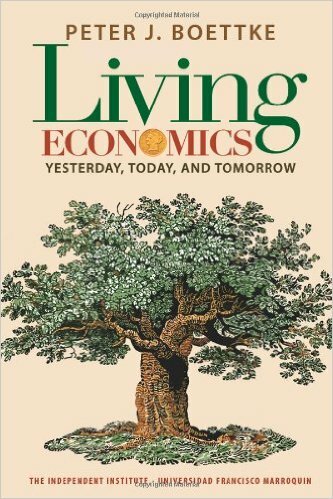 Within Living Economics is multiple lessons on fundamental ideas in the free market tradition, and tales from various professors, Boettke himself included. Within each section are different lessons and different people, a tactic by Boettke that keeps the book fresh and interesting as you go from chapter to chapter. Living Economics communicates to scholars within the field of economics and reinvigorates you with inspiration from other economists, their stories, and with guidance from Boettke himself. Within Living Economics, you (re)discover the Smithian tradition of economic thought (the combination of political economy and limited intervention), new institutional economics (with an emphasis on Elinor Ostrom), public choice economics (from Tullock and Gordon), entrepreneurial economics by Kirzner and Schumpeter, the failure of socialism as told by Hayek and Mises, and multiple other economists in the tradition of Smith and the Austrian school. All of this occurs in part II of Living Economics, “On Teachers of Economics,” and it by far takes up the majority of the book. While always emphasizing free markets, Boettke’s book throws a wide net of historical analysis and manages to stay interesting and informational all throughout this section. With part I of Boettke’s book, you learn more about teaching economics, or why and how you should teach it. Boettke argues that explaining economics to the population at large remains one of the most critical, and underachieved, responsibilities of economists. Explaining the market mechanism, why it works, why it fails, and how we should react are all things economists should actively strive to teach the citizens of the public in order to ensure prosperity takes root and lasts in a country. By obvious extension, Boettke also argues that as teachers to be, economists should emphasize the success of free markets to their students in class, rather than focusing on the few major exceptions like most text books do now. At the end of the day, Professor Boettke looks at teaching as one of the most honorable professions, and bias aside, I believe he makes a good argument for why it is. Finally, with Part III of Living Economics, Boettke focuses on where mainstream economics has gone wrong. In this section, Boettke introduces more thinkers, especially on the left, and analyzes how and why their theorems, rather than ‘theories,’ became fact in orthodox economics. Economists such as Leon Walras, Oskar Lange, Joseph Stiglitz, and Maynard Keynes come into play much more in this section as Boettke explains, and promptly criticizes, the rise of neoclassical economics and its equilibrium models, neo-Keynesian economics, and the Chicago school as well. Austrian economics, and its various methodologies and theories, holds place as the most consistent school of economics to Boettke, and he blames mainstream thought as the reason why economists have shifted roles from ‘lowly philosophers’ to ‘high priests.’ Rather than act as cautious advisors to economic thought, economists now act as masters of reality, able to create models and concrete theorems that can predict and explain human behavior. Boettke’s book did have fourth part, but this section is only six pages long and serves only as a summation of the book. Overall, I loved Boettke’s work in Living Economics. My only real criticism is that his writing is sometimes too much ‘stream of thought,’ an approach that leaves you rereading some passages from the book. The book is heavily slanted towards Austrian thought, but this is a matter of opinion, and I feel should not be an issue given the very nature of the book. It may be because I have read much more serious texts for the past two months, but Boettke’s book is serious enough to learn substantially from while remaining a lighter read for anyone interested in economic history and the profession itself. While I sat down and grinded through Living Economics, you could easily pick up and drop the book over a large period of time and still not be confused because of how Boettke organized his writing. I really appreciated everything I learned from Living Economics, and I am sure that in three years’ time, when I begin my journey into graduate school, I will be picking up Boettke’s book to read again. 4/5. 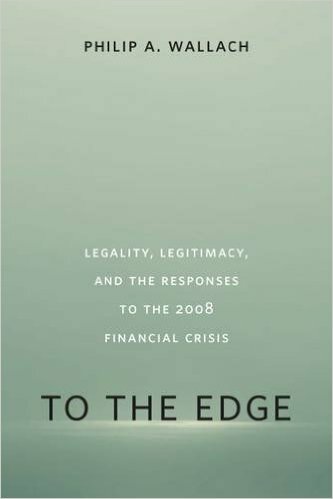 To the Edge: Legality, Legitimacy, and the Responses to the 2008 Financial Crisis was a book unlike any other historical analysis I have read so far. This was probably inevitable given the nature of the of the 2008 financial crisis, but Philip Wallach, a Brookings Institute fellow, managed to take his book to the next level of scholarly work. Tyler Cowen mentioned it some time ago on his blog and I by chance added it to my wishlist. One day I got an amazon gift card, and because of my desire to understand the financial crisis better, I made the leap of faith and bought this book. I do not regret that decision at all. Carl Schmitt was a German (and Nazi) political theorist who’s work investigated the role of government power and its source of legitimacy. Schmitt accurately captured the dilemmas democracies face in crisis, and believed democratic governments would inevitably fail to maintain their status in the face of continued crisis. This failure stems, as Schmitt argues, from the shift in legitimacy from democratic decision making to centralized authorities who take power during crisis. While Schmitt enthusiastically embraced his philosophy by rising as one of Nazi Germany’s greatest political legitimators, his theory still provides a serious challenge to the concept and sustainability of the Rule of Law. In absence of flexible response and power, Schmitt’s political theory contends that things like due process, procedural justice, and other aspects of liberal democratic government cannot hold. This creates a paradox for democratic governments, squeezed between Rule of Law and the expediency needed by crisis fighters, as they must create a contradictory balance of executive discretion and procedural methodology. Wallach takes Schmitt’s challenge and analyzes the financial crisis through the focal points of legitimacy and legality, ergo the title of this book. After setting the state for his theory-lite, Wallach then analyzes the entirety of the 2008 Financial Crisis, the response from government ‘crisis fighters,’ and the response of elites and the general American population. A major theme Wallach emphasizes is the ad-hoc nature of the actions taken by crisis fighters Timothy Geithner (President of the New York Fed under Bush, Treasury Secretary under Obama), Ben Bernanke (Head of the Federal Reserve system under both Bush and Obama), Henry Paulson (Treasury Secretary under Bush), and Sheila Blair (Head of the FDIC under both Bush and Obama). Labeling their approach ‘adhocracy,’ Wallach explains at length just how last minute, impromptu, and unprocedural the government handled the financial crisis. Bernanke and Geithner especially made decisions in the eleventh hour of multiple episodes in the financial crisis (such as Bear Stearns, Lehman Brothers, and AIG), cajoled banks and other entities to accept their agreements, and consistently pushed the written law to its very limit and beyond. While Wallach defends their actions on consequentialist grounds, he is critical of their after-effects, especially on government legitimacy and power. Wallach argues that repeatedly stretching the law, an outcome completely inevitable in Wallach’s view, must be minimized for multiple reasons. Principally, Wallach believes abusing the law and ad-hoc behavior severely reduce the legitimacy of the law and government, and this loss of legitimacy by government will substantially hinder its ability to handle future crises. For Wallach and Schmitt alike, it does not matter how powerful the government is if people, both elites and the masses, lose faith in the legitimacy of government action. After an extremely in depth, objective, and well discussed retrace of the financial crisis, Wallach closes his book by looking at the accountability mechanisms used by government and possible alternatives for the future. Wallach emphasizes the place of media as a strong check against government overreach, but also shows how it falls short of capturing actions that are more ‘intrusive’ by government due the perceived legitimacy of government action. Moving beyond media, Wallach also recounts the inability of the courts to stop executive powers during crisis. Put simply, the judicial branch of the United States has consistently stood aside during crisis because it believes that the executive, given enough emergency, will simply ignore its orders, a la Jackson, Lincoln, and FDR. The greatest accountability mechanism, according to Wallach, of the previous financial crisis was the ex-post accountability mechanisms implemented in bills. Accountability boards, GAO audits, and similar mechanisms made sure that government officials were not acting in scrupulous and corrupt ways after actions were taken. Additionally, such mechanisms often gave government more power to act by granting greater legitimacy of restriction. By putting into effect certain accountability mechanisms, the elites and average citizens of a nation will believe justice will be guaranteed by retroactive actions of accountability. However, Wallach emphasizes the need for pre-existing trust between government and citizens for accountability mechanisms to be allowed. While Wallach provides to no sure fire guarantee of accountability, his solutions do provide food for thought. Foremost, and idealistically, Wallach believes the legislature must engage the executive branch more during crises. This ensures accountability, provides grounds for legitimacy (perceived through the democratic process), and ensures the executive does not get out of control. The next big solution is for legislators and the executive to create laws that provide clear enough guidelines for government behavior, but that do not unnecessarily constrain government action. His reasoning for this is that anything too restrictive will simply be ignored, as was seen in prior crises. Finally, Wallach proposes a generic ‘slush fund’ for the executive branch. During the financial crisis, the executive branch used the Exchange Stabilization Fund, an archaic fund meant for currency exchange emergencies, for the bailout of the Money Fund market. This was a result of Geithner and Bernanke being afraid to approach Congress for help (and risk denial), but later came across as a severe abuse of government power. Rather than pander to the idea executives will not abuse the law during crisis, Wallach concludes that by providing a sizeable, but not too large, fund for emergency executive action, crisis fighters can buy time to negotiate with Congress over appropriate actions instead of worrying about partisan fighting and abusing the existing law. When it comes to style, narrative, and facts, I have no qualms with Philip Wallach. His ability to objectively recount events is fantastic, and I only wish more scholars embraced his approach. However, when it comes to his own opinion, I do have to disagree. While I sympathize with Wallach’s view that, given the enormity of the crisis, the government had to intervene, he gives too much credence to the motives of political actors. 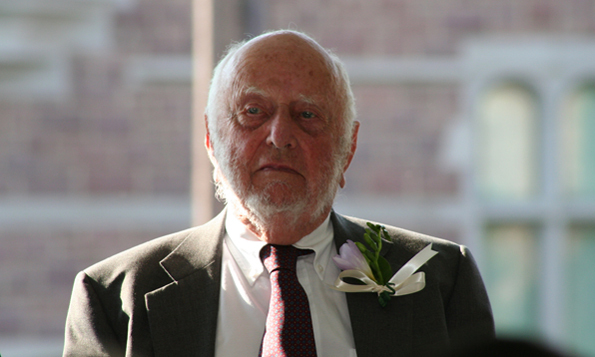 Wallach almost believes that beyond some political motivation (record, image), individuals such as Paulson, a former CEO of Goldman Sachs, were driven by pure civic duty for their nation. Being such a well read scholar, Wallach is well aware of Public Choice and I wonder why he was so quick to ignore the very real incentives behind regulators to collaborate, on some level, with those they regulate. A book I just recently finished, After War: the Political Economy of Exporting Democracy, has a lot of insight into the institutional and behavioral theory behind reconstruction (e.g. the nation building in Iraq and Afghanistan). One of the explanations given by Coyne, the author, left me wanting to model his theory on underlying preferences in a society and their affect on choices of government. Despite the US military’s successful toppling of the Hussein regime, the people of Iraq did not collectively rally to create liberal democratic institutions. Was it because they did not agree with basis of them? Yes and no, says Coyne. There are multiple reasons why Iraqis avoided liberal democratic institutions (the fear of a strong centralized government was one, for instance) and in turn it reflected the underlying preferences of society. Thus, while the occupation managed to change the options available to citizens (to vote, get an education, open a store), it does not guarantee that citizens will choose those options available. Coyne thus suggests that societal preferences act as a large determinant of the success for a reconstruction effort. If the underlying preferences of society do not desire liberal democratic institutions, they will not occur. I felt that this could be modeled similarly to an income-consumption graph, the same type that determines the consumption preferences of a consumer who faces a limited budget and choice between two goods. Now what I attempt to do is replace the goods chosen with social welfare and personal freedom on the Y and X axis respectively. 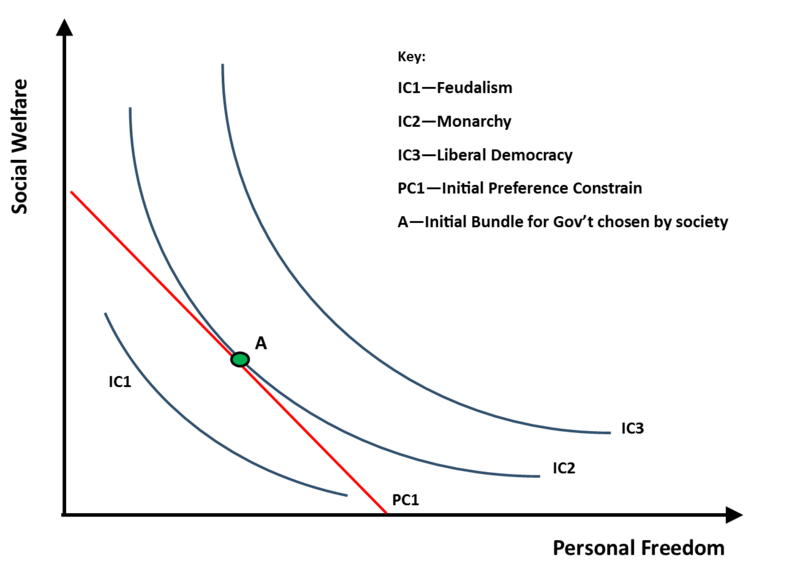 Societal preferences now act as the ‘budget constraint’ in this model, and the indifference curve determines the type of government chosen by the society. Preferences can reflect trust, sense of equality, and tolerance of beliefs: all characteristics that become reflected in the type of government a country has. In the model above, the society currently reflected has underlying preferences that do not support a liberal democracy. This could be reflective of 16th century England under the Tudor Dynasty. Even if a radical republican army were to invade and overthrow the crown, the reality is that the majority of society would not support a liberal democracy. Social and formal institutions at the time were dependent upon a strong monarchy, and the economy was oriented around the various monopolies controlled and regulated by the crown. Thus, the best this society can ‘purchase’ is a monarchal government at bundle A. However, if there were to be a shift in underlying preferences, then the government bundle chosen can change. For instance, an endogenous change in the political climate (political revolution) can cause a major shift in preferences. This is exactly what happened after the Glorious Revolution in England where the monarchy was severely constrained by the Parliamentary system. Just as a consumer cannot buy a $5,000 computer unless they have the money, a country cannot just construct a government reflecting the preferences of an entirely different nation (such as the US attempted to do with Iraq). In my abstraction, I attempt to use the basic income-consumption model to extend neoclassical theory into the realm of institutional analysis. This creates multiple caveats to my modeling for very obvious reasons, the largest being that it is very difficult to capture institutions within a model. Furthermore, I am not saying that personal freedom and social welfare are mutually exclusive, but just that there are limits to them contingent on the ‘amount’ of the other (e.g. whether you can kill your neighbor because you feel like it). My model also assumes that the social costs of Personal Freedom and Social Equality are the same, but reality shows that this is not true. One must just imagine a small island society with very limited resources, and it becomes clear that tight social cooperation would be vital to survival. In this scenario, the relative price of personal freedom would be very high, and personal preferences would have to adjust, regardless if they supported the idea of extreme personal freedom. Finally, I do not claim societal preferences are the only factor determining the type of government a nation has, but I do try to model how underlying preferences could determine what kind of government evolves in a society. A society that has a stronger sense of social welfare will have indifference curves reflecting that. These are just some of the many caveats associated with my basic attempt to model economic theory as I have read it. I am sure that others have done this and in a much better and precise manner. There is a popular joke in academia about the ‘imperialism’ of economics. 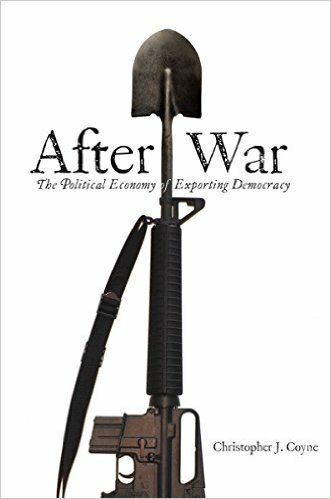 Just about any topic and field has been covered by economists in one way or another, and with Chris Coyne’s After War: the Political Economy of Exporting Democracy, nation building can now fill the list. While economists can always benefit from an extra dose of humility, they are right to suggest that the economic way of thinking can help analyze and understand the world around us. For Coyne, why nation building fails is the issue he hopes to help explain. I met Coyne my junior year of high school at a Foundation for Economic Education seminar, and I mean it when I say the man is brilliant. Reading one of his books has been a goal of mine for some time, so I took this as an opportunity. Also, it is no coincidence that the book involves institutional economics. Despite years of failures, the western world, under the guidance of the U.S., has repeatedly attempted to export liberal democracy to developing nations. While political scientists have offered countless theories as to why and why not these attempts work, there has been little input by economists on the issue directly. In steps Coyne, who uses theories from public choice, new institutional, and behavioral economics to analyze the inner workings of nation building, and why some nations (Japan and Germany) were successes while most nations (Haiti, Cuba, Afghanistan, Iraq, Somalia, etc) were failures. Coyne breaks his book into two major sections. In the first portion, he introduces to the reader the various ideas from economics that can be applied to nation building. This is where topics such as political economy, institutions, game theory, and expectations are introduced. Coyne explains how underlying preferences, cultural norms, and ‘meta-games’ can predict the difficulty/probability of nation building and sustaining a liberal democracy in a developing country. A great example would be the sectarian groups within Iraq that Coyne analyzes with his mesh of theory. Iraq can be broken into four overarching groups (but there are many others), Kurds, Arabs, Shi’a Muslims, and Sunni Muslims. Under the Hussein regime, both the Kurds, regardless of religion, and Shi’a majority were persecuted under the Sunni Arab minority. Hussein was able to hold Iraq together because of his authoritarian rule and a strong, militarized state that responded to Hussein’s orders. Kurds and Shi’a alike are skeptical of a centralized state, and understandably are wary of a liberal democracy. Simultaneously, Sunnis are afraid of Kurds and Shi’a Muslims, who if create a strong coalition, could exact revenge for years of oppression under Hussein. In this scenario, we see underlying preferences (distrust of government), game theory (interactions between groups), and norms (sectarian society) all interact to determine the success of reconstruction efforts. The next section of the book is Coyne’s analysis of successful and unsuccessful reconstruction efforts, the (then) current situation in Iraq and Afghanistan, and his alternative to foreign interventionism (free trade and non-interventionism). Coyne points out accurately how Germany and Japan, prior to reconstruction, had all the foundations for a liberal democratic society. Each nation was heavily industrialized, had prior democratic institutions, and was devoid of sectarian conflicts. Adding to the situation, each nation was utterly emotionally and physically devastated from the worst wars the world had seen. The other examples, Somalia and Haiti, were almost exactly the opposite, with histories rife with corruption, sectarian conflict, and no industrial base. My main criticism comes in two forms, one more subjective than the other. Overall, I believe Coyne simplified his analysis a little too much, and more in depth analysis would have benefited the book. More critically, however, is his alternative and his defense of it. While I agree whole heartedly with Coyne’s alternative of non-interventionist foreign policy and absolute free trade, his defense leaves you wanting more. Coyne was right to emphasize the failed record of other alternatives, but he should have provided something more (I’m not sure what) to cement his argument. Great book, fascinating read, and something quick and easy to fly through. Coyne is a good writer, does not repeat himself too much (a severe problem with most economists), and was able to explain terms as plainly as possible. I agree with his analysis, and I believe anyone in policy, especially military or foreign, should read his work. 4/5. North splits Structure and Change in Economic History into three parts, ‘Theory’, ‘History’, and ‘Theory and History’, an organizational tool that helps you go back and forth for any notes or passages you may need to reread. 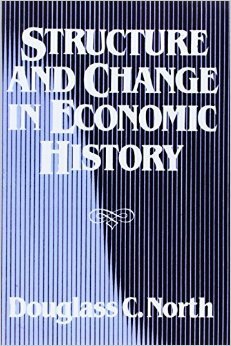 In part one, North lays down all of his new theory for explaining change through economic history, which he largely explains using institutions, transaction costs, and ideology. Through this entire section, North also provides his major criticisms of (then) current economic thought, the other social sciences, and Marxist theory. On each criticism in each chapter of part one, North then explains how his new theory can explain the gaps currently in economic history. Part two becomes an application test of North’s theory, where he explains human history from the neolithic revolution to the United States, circa 1914. Between these two time posts, North breaks human history up into what he designates as the ‘First’ and ‘Second Economic Revolutions,’ time periods that slightly diverge from mainstream historical and economic analysis. In particular, the Second Economic Revolution, according to North, was not the Industrial Revolution, but rather the century following it, where in the mid-19th century science and innovation were tied together at a constant rate. Part three is rather short, and is simply a reiteration by North on his theory, its application in history, and the implications of his arguments. The most important work, in my opinion, occurs in part one, where North outlines his criticism of neoclassical economics and then puts forth his addition to economic theory. My review will focus entirely on this section. However, I want to emphasize that the other two sections of North’s book are still very important and valuable, but for the sake of keeping a somewhat short review, I will have to cut out much of his work. Neoclassical economics, with its emphasis on marginal returns, market equilibriums, and relative prices, can explain why economies remain stable (when they do) and the rational self interest of individuals. 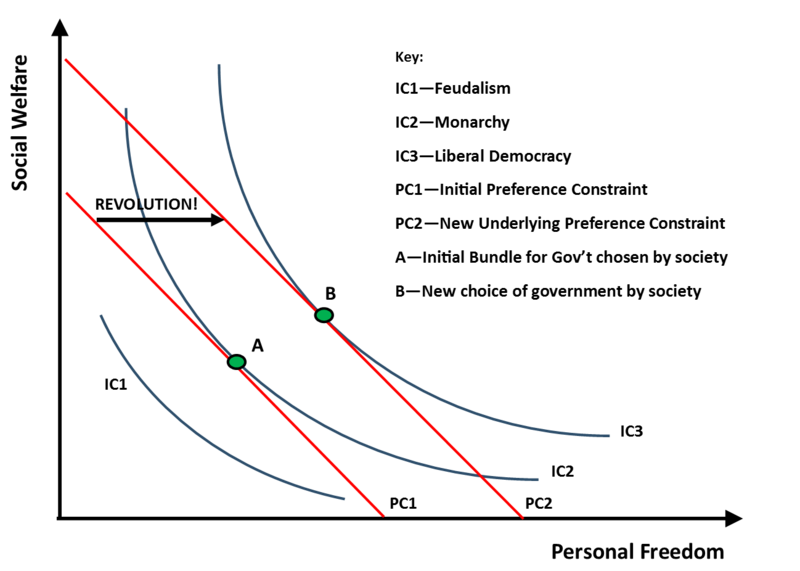 In short, neoclassical theory is great at explaining why prices lead to beneficial market coordination (prosperity) and why individuals will tend to act opportunistic, but it cannot provide an explanation for structural change over time (economic decline, stagnation) and the countless instances where individuals act collectively to overcome the free rider problem (political revolution). In face of all of this, North contends that neoclassical theory must be extended to account for these discrepancies in its current theoretical framework, a task that North takes upon himself to solve. Early on, North introduces his theory of ideology and its role in structures and change through history. Ideology provides explanation for almost all instances of collective action when neoclassical theory fails to do so. Class conflict, race, and religion all fall into this category and can help explain the multiple revolutions and structural changes seen through history, though I should not overemphasize North’s theory of ideology. In short, where neoclassical economics fails to explain a change in history, North’s theory of ideology can help bridge the gap by explaining why rational individuals, who would typically be cautious to acting against self interest, will act in a collective manner for the collective good. This is a vital addition to the literature in neoclassical economics, because it is with North that the first substantive theory of ideology is created in a neoclassical framework. The next major addition to neoclassical theory that North makes is his theory of institutions. For the majority of human history, universal suffering defined the condition of our species. Despite this, there were numerous occasions where societies would rise above the rest and enjoy a burst of prosperity, which combined with the gradual increase in population, meaning that something pushed humanity to perform better. This ‘performance,’ according to North, comes from the various economic organizational forms that have existed through time. Some forms of economic organization were more efficient than others, and through time, better and better forms came into existence. Overarching these organizational forms are institutions, both formal and informal, that dictate and constrain the behavior of humans in a society. Building on his criticism of neoclassical theory, North argues that institutions are created in order to lower transaction costs in society, both for rulers and for the average peasant. Institutional norms, such as the level of ‘trust’ towards strangers, allow economic activities to exist more efficiently. This, in turn, allows for better economic performance and prosperity in a society. 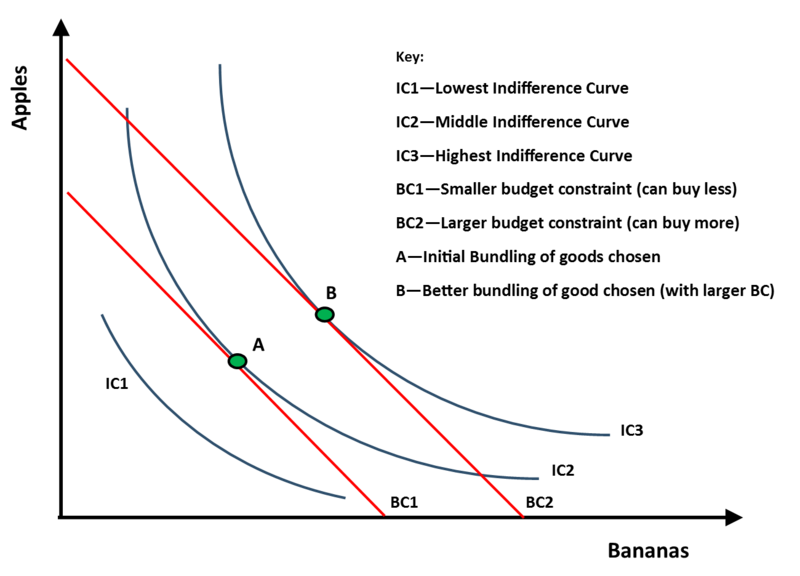 Neoclassical theory has severely neglected the analysis of transaction costs in an economy, assuming that transactions occurred ‘frictionless’ in society. North completely overthrows this by insisting all institutional change can be framed in terms of transaction costs, with the rise and fall of political units (governments) occurring with the rise and fall of transaction costs of enforcing rules. This is also how North creates his theory of the state, another institution which he explains as a result of transaction costs. Honestly, this book was amazing to read because of all of the insight North provided. Couple this with my amateur level of experience with economics, and you can understand why I have no real criticism to provide. If anything, I believe North could have expanded the last part of his book for the sake of providing better analysis, especially by providing, and further answering, counter arguments against his theory.